Please meet Violet! 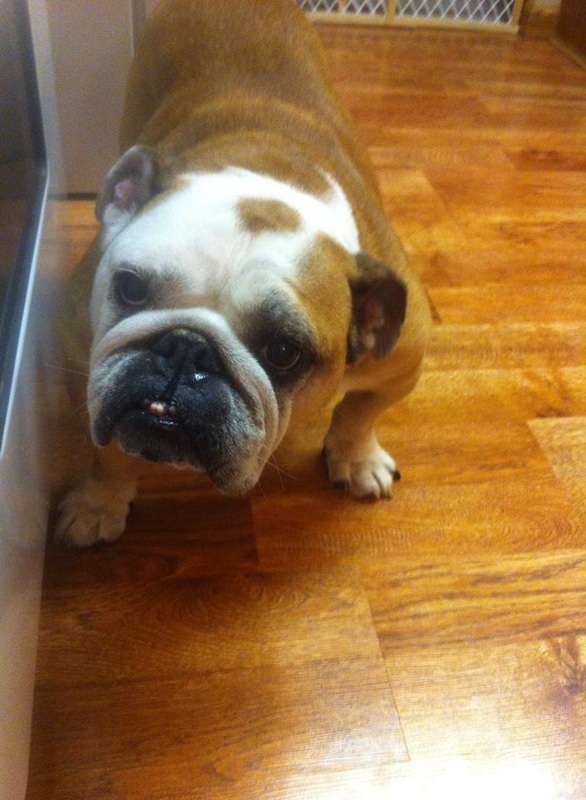 She is an 8 year old white & red English bulldog. Violet came into BBR’s care as an owner surrender due to the family not being able to give her the time she deserves. Violet does well with other dogs most of the time; she does show some aggression when food is around or if the other dog comes around when Violet is being petted. These are the only instances where she can be temperamental with other pups; she is otherwise just fine with the other dogs, and does not go for them. If there is ever any issue, she can easily be stopped and redirected. Violet pays no attention to the cat, and does well with children of all ages. 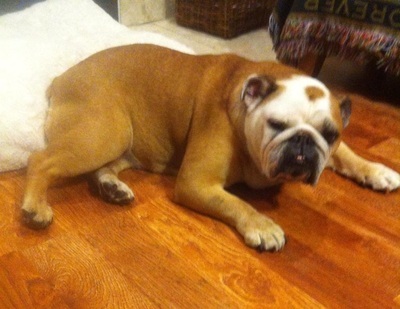 Violet is housetrained, however her foster mom does crate her while they are away because she might potty in the house. She does well in her crate, is spayed and up to date on shots. Please consider opening up your heart and giving Violet her loving furever home! Click here to apply to adopt Violet. Please consider sponsoring Violet to help with her medical bills.